A novel component of an interventional program was cognitive-behavioral counseling administered in a group setting to promote behavioral change. 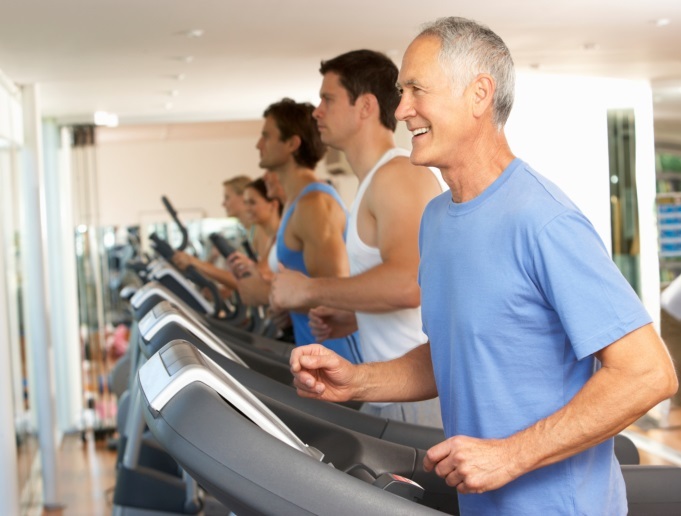 A personalized exercise and diet intervention can lead to clinical improvement in mobility, body composition, and strength in sedentary men receiving androgen-deprivation therapy (ADT) for prostate cancer, researchers reported in the Annals of Behavioral Medicine. “As they gain fat and lose muscle during hormone therapy, these men are at significant risk for chronic health problems including metabolic disorder, a precursor to diabetes and heart disease,” lead investigator Brian C. Focht, PhD, of Ohio State University in Columbus, stated in a university news release. In the single-blind IDEA-P trial, Dr Focht and his colleagues assigned 32 sedentary patients (mean age 66 years) from their cancer center to a group-based, cognitive-behavioral exercise and dietary intervention or standard care (involving exercise education) for 12 weeks. “We think the group approach is important, because it creates social support for a group of men who have experienced shared challenges, and that can increase the chances of long-term behavior change,” he stated. The intervention group received exercise and dietary prescriptions along with cognitive-behavioral counseling (GMCB) to promote independent improvement in behavior. The men received supervised resistance and aerobic exercise, tailored to each participant’s baseline function, for 1 hour twice a week. Dietary advice was based on guidelines that promoted, increased fruit and vegetable intake. The intervention group experienced significantly greater improvements in mobility performance, muscular strength, body fat percentage, and fat mass over 3 months compared with the standard care group. The team adjusted for ADT duration and patient status at baseline. No patients experienced a serious intervention-related adverse event, and the program had favorable adherence and retention rates, the researchers added. “Taken collectively, these findings provide initial evidence supporting the value of lifestyle interventions combining GMCB counseling with personalized exercise and diet prescription in offsetting androgen-deprivation-induced toxicities upon body composition,” Dr Focht stated.